The Coastal Discovery Museum on Hilton Head Island will host a program on camellias on February 5 at 10 a.m. You will learn more about the Camellia Garden from Master Gardeners and garden founders, Donna and Fred Manske. 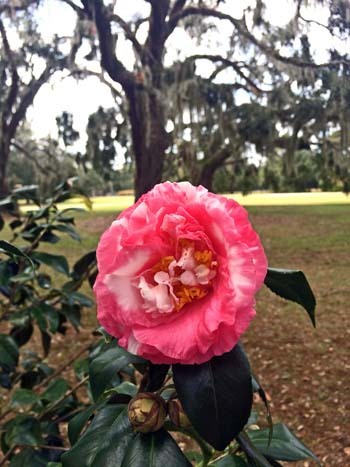 The Manskes will share fascinating legends of the camellia and tips on growing your own camellias in the Lowcountry. The Coastal Discovery Museum’s Camellia Garden has 131 varieties that represent all the shapes and sizes that these winter-blooming plants exhibit. After an indoor presentation, proceed to the garden with the Manskes for a guided tour and hear more about their vision and dedication which helped build and maintain this special part of Historic Honey Horn.